Connecting you to the people and products you care about. *There is a power surge on the internet known as Qubeey! Within recent weeks Chris Brown, Akon and music newcomer Lonny Bereal have made headlines on EURweb.com for their exciting new endeavors with the company and the innovative technology called Qubeey. This week Qubeey takes center stage, as the modus operandi is revealed. Thanks to the brilliance of Qubeey CEO and technology developer Rocky Wright, along with the promotional genius of Marc Brogdon (Vice President of Marketing), Qubeey’s star is on the rise. While still new to some, soon the browser-free platform aka Qubeey, will not only revolutionize Internet communications, it will become as common place as Facebook, Twitter, You Tube, Google and all of the other techno-internet necessities. Visit www.qubeey.com to see it for yourself. The company has received rave reviews from major technical critics, as well as super star celebrities who are lining up to have their own Qubeey channels. In essence, Qubeey channels are customized micro-sites that showcase products, services, videos and other relevant content. In addition to the Chris Brown and Akon Qubeey channels, other Qubeey channel owners include Kelly Rowland, Craig Shoemaker, Donald Schultz, and more than 200 others. Music icon Chaka Khan debuted her latest video “Super Life: Fear Kills, Love Heals,” on a Qubeey channel. Keep an eye out for other rising stars who are finding their home on Qubeey, including Jersey Shore’s Ronnie, as well as X-Factor breakout musician Dez Duron. The corporate world is also taking notice of Qubeey. Daily deal maker Groupon recently forged a strategic partnership with Qubeey that provides the industry giant a unique and memorable way to reach its more than 100 million subscribers. “We are changing the way everyone communicates across the Internet. For example, based on followers’ requests, channel owners can appear instantly and assertively on desktops, mobile phones and other device tops via media-rich video notifications. It’s called assertive communications,” said Rocky Wright. This is great news, no doubt, for Chris Brown’s fan base of 37 million, aka Team Breezy. Fans can have their own Qubeey channel, too. An enthusiastic Marc Brogdon reminds that channels are not just reserved for celebs and corporate entities. Qubeey features also include live broadcasting right from user profiles, and the platform can accommodate video chats for up to 12 people. 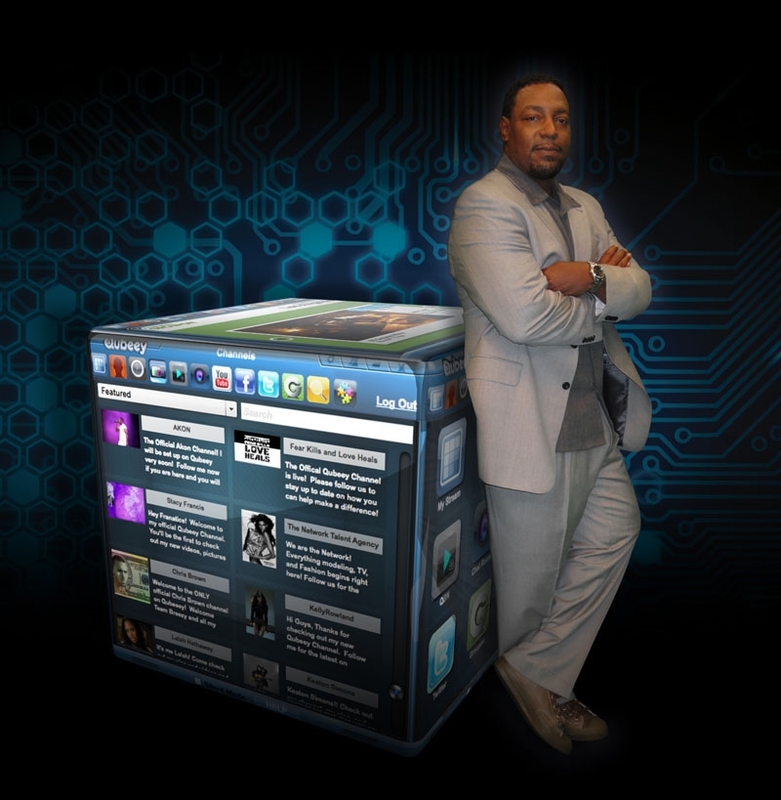 Additionally, the Qubeey Broadcast Network (aka the QBN), showcases artists, interviews, news, videos and a lot more. Find out what the buzz is all about at www.qubeey.com.